Below are listed our most popular stand-alone touch screen monitors that are suitable for retail, restaurant and office use. 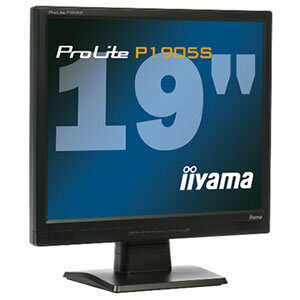 These stand-alone touch screen monitors are designed to connect to a PC base unit. They are supplied with their own power cable, VGA signal cable and either a USB or RS232 Serial interface for the touch controller. 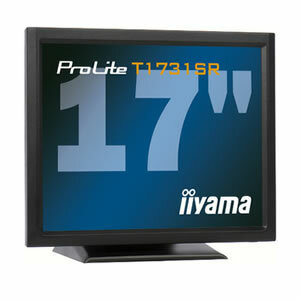 17" touch screen monitor with 5-wire resistive touch technology. USB interface. Wall mountable. Integrated speakers. High quality 15" touch screen monitor from 3M with advanced design and robust build quality. Cleartek capacitive touch technology. 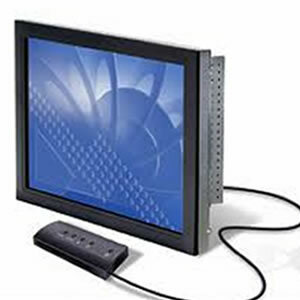 High quality 17" touch screen monitor from 3M with advanced design and robust build quality. Cleartek capacitive touch technology. 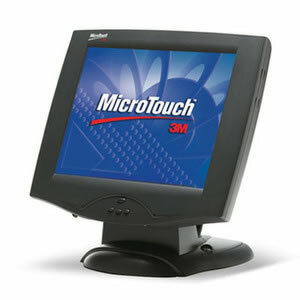 Affordable 19" touch screen monitor using 5-wire resistive touch technology. Available with either USB or RS232 Serial interface. Wall mountable. High quality 15" touch screen kiosk monitor, designed to be fitted into an enclosure. Thin bezzle. 12v dc. ClearTek capacitive technology provides excellent durability and resistance to dirt, liquids and harsh chemicals. USB interface. Remote controller for display adjustment. Also see our integrated Touch Screen Terminals with inbuilt computer.